Cotton twill front panels and visor with mesh back panels. ProCrown with buckram-fused front panels and ProStitching. Pre-curved PE visor with 8 rows of stitching. 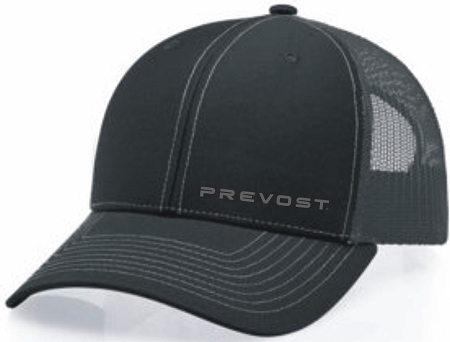 Each cap is embroidered with Prevost logo on the bottom left panel.